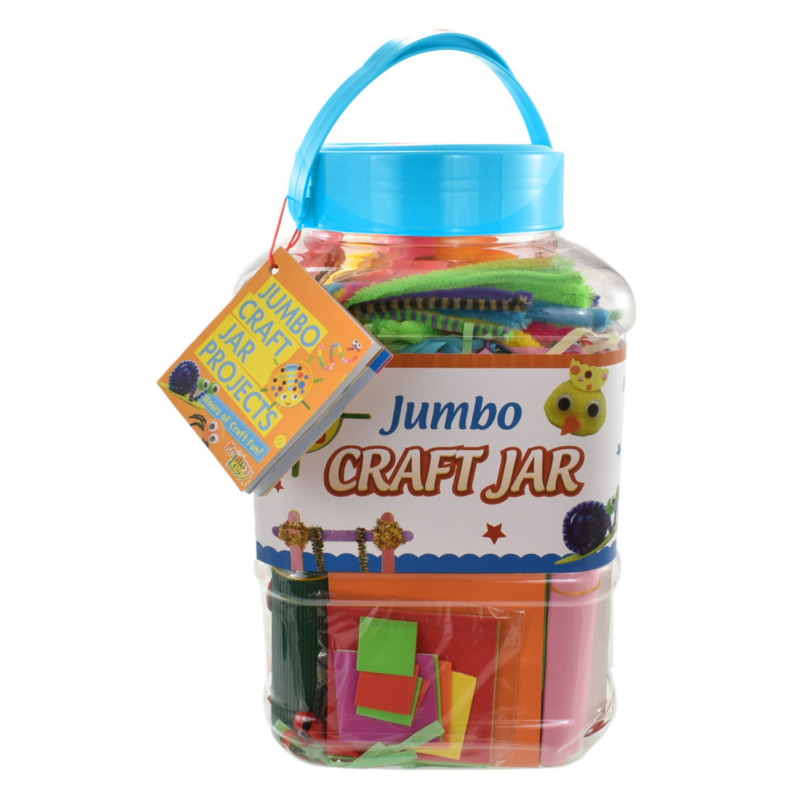 Design, draw, and create with this Jumbo Art Jar! This all-inclusive art and craft set comes with everything you need to create beautiful arts and crafts! This arts and craft set comes in it’s very own compact and easy to store plastic jar. This all inclusive Art and Craft Set includes over 100 pieces to use.